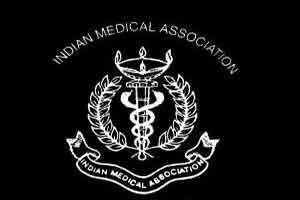 New Delhi: To tackle antibiotic resistance, the Indian Medical Association (IMA) pitched for monitoring the use of antibiotics to curb over-prescription by doctors. “Antibiotic resistance is a global concern. We stand at the edge of an imminent post-antibiotic era where resistant bacteria can render precious lifesaving drugs obsolete. “Medical science is heavily dependent on antibiotics, from treating simple tetanus wounds to complex surgical procedures. If this over-usage continues, even simple infections will have the potential to be fatal. It is important that both medical and patient communities become more aware about the judicious and just use of these precious drugs,” Dr K K Aggarwal, national president-elect, IMA, said. He said it was important to understand when the doctor or the patient is at fault as far as antibiotic usage is concerned. “From the physicians side, over prescription needs to be controlled. Sometimes, these drugs are given as a preventive measure rather than a cure. Moreover, in the interest of being careful, physicians deem it best to prescribe a low dose antibiotic even when the said drug is not clinically required. “From the patients side, self-medication is worrisome. Several of clinically precious antibiotics are available over the counter, and are often taken without a guided instruction about dosage and proper regimen,” he said. The instances where the physician or the patient could be faulted for prescribing antibiotics include prescribing antibiotics when no bacterial infection exists, prescribing the wrong antibiotic or the wrong dose, prescribing antibiotics for longer than necessary, prescribing strong antibiotics when a less strong would be as effective, he said. My crusade against antibiotics misuse continues since last 2 years creating awareness regarding implications of antimicrobial resistance through creating awareness by organising Seminars addressing to doctors chemists rural practitioners and public .